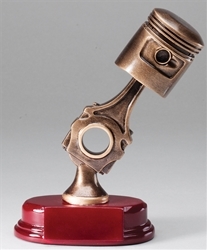 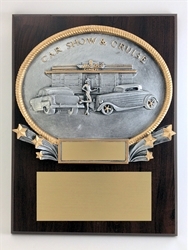 Automobile Spark Plug resin sculpture trophy on rosewood finish base, 6" Tall. 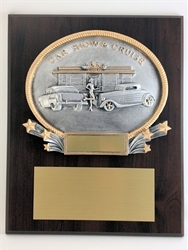 Includes a satin gold engraving plate. 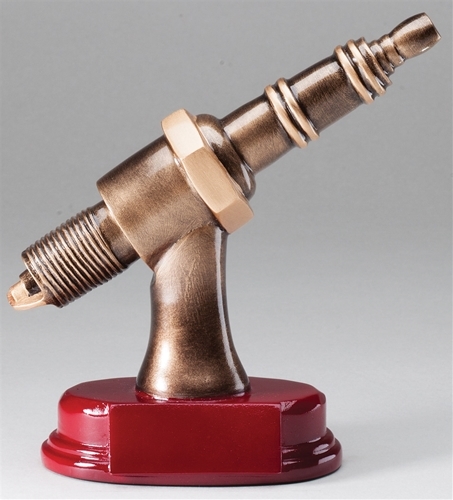 Allow 3-5 days plus shipping.